This is a quick and easy recycled craft art project for kids. You may find other similar crafting projects for kids on my blog, such as making modeling dough or cotton wool toys. For this art project for kids I used old cans. This is a great recycling material for crafts. 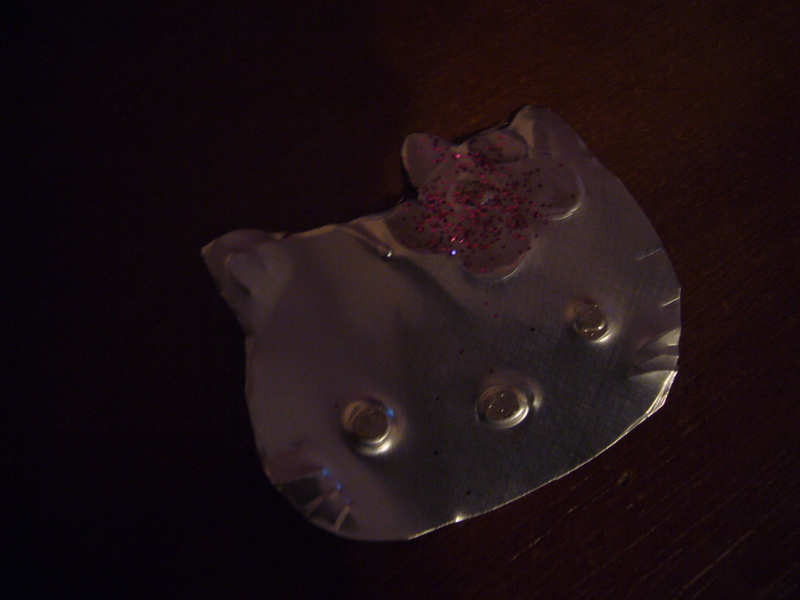 The craft project is about making a hello kitty pin out of a piece of aluminium can. Here is the other side of this can hello kitty pin. Here is how you make such easy can pin. You can out a piece of can. Print out a hello kitty head image. Then you need some tracing paper or a piece of baking paper. You need to copy your image to this baking paper. Then you put it over your can piece and use a hard pen to draw out kitty head onto the aluminium. Remove the paper. 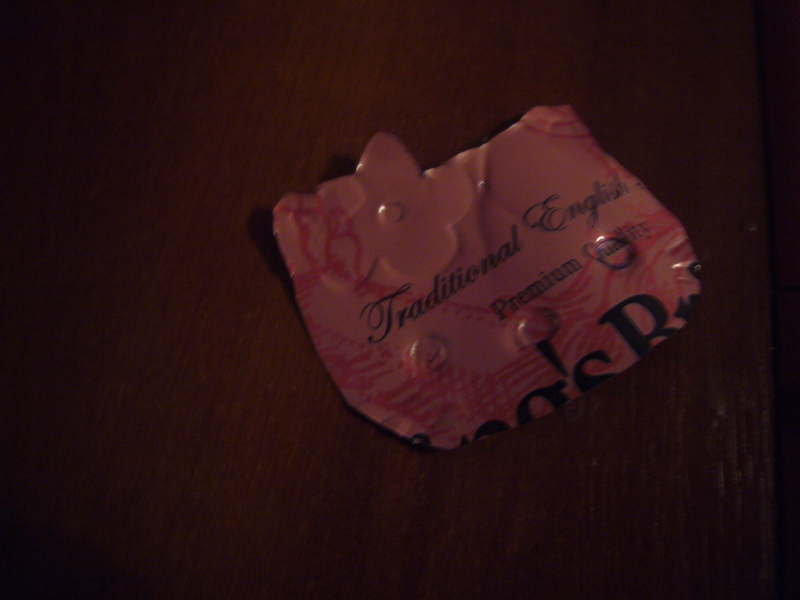 You’d see a faint picture of the hello kitty on your can recycled craft material. Use your pen to make it more pronounced. Then cut out the pin. You may decorate it with sparks, glitter glue or anything else you want. If you make a hole in the pin, you can put it on a chain and make a hello kitty handmade pendent out of it. It’s an easy recycled craft art project for kids. This entry was posted in Uncategorized and tagged busy moms, crafting with kids, crafts, creative tips, DIY, fun for kids, handmade, handmade hello kitty, handmade jewelry for kids, handmade pins for kids, hello kitty, mom help, recycled craft art project for kids, tips for moms, upcycling. Bookmark the permalink.